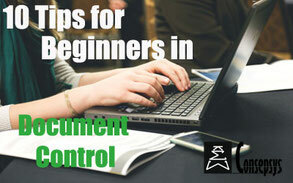 Document Controllers often ask Consepsys what are the basic tools needed to do their job. 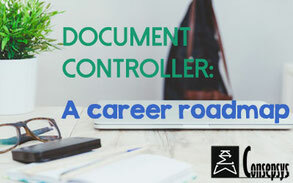 Depending on the environment wherein Document Control professionals work, they may have access to a varying range and complexity of tools to perform their day-to-day activities. Some Document Control professionals have to operate with very few tools, others are lucky to have at their disposal the very best tools that one can dream about. 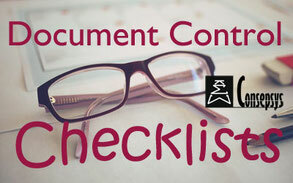 However, there is a minimum list of tools required to perform as a Document Control professional. The figure below captures the minimum tools required by Document Controllers. The specifics of the entity wherein the DCs work. Note that there is no mention of Electronic Document Management System (EDMS) or Document Control software. An EDMS is only a tool indeed, covered under ‘DC Controlled Repository’ on the mind map; however, this repository does not necessarily have to be an EDMS – it can be on shared drive, for example. It is interesting to note that DCs need sources of requirements and a job description. Indeed, these are the fall-back documents allowing DCs to protect the ‘DC Rules’ that they have to implement and enforce. The last tool that is not mentioned on the mind map is a set of values to uphold and to be used as a day-to-day guideline. Those are the Consepsys TICCQS values. Understanding what the minimum DC tools are, gives DCs the opportunity to perform more effectively. It can be the start of a ‘shopping list’ of tools to develop or to acquire, for those who do not already possess the full suite. For others, it can provide reassurance that the minimum is already covered.